New Mounts - Texastaxi hit a grand slam! 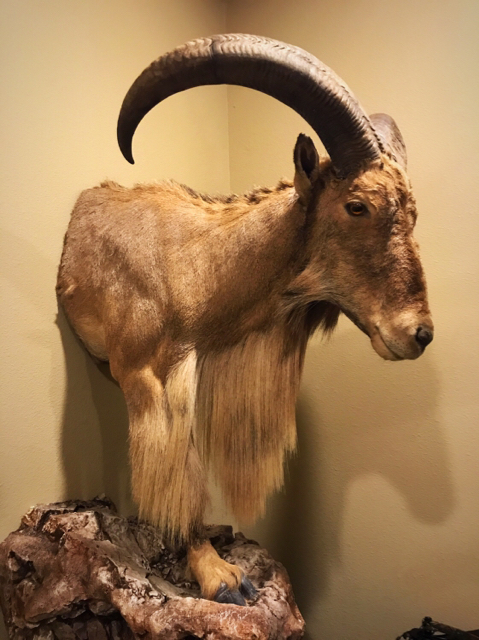 Kevin finished up my white-tail and aoudad recently, and knocked it out of the park! I left the pedestal up to him, and this is what he came up with! Not only did the mount exceed my expectations once again, but the pedestal was an artistic master piece! He made the rock base for the aoudad as well. Work of art! Those are awesome. Those are awesome mounts...splits, stickers and crabs! That buck”s got it! Andy is fun to "work for". He doesn't put many restrictions on what I can't do, so I get to do all the things that have been floating around in my head but no one was willing to pay for. A little more info on the pedestal. It's all mesquite, up to the pears which are cedar that I turned on my lathe. The buck was a little broken up, so I fixed that for Andy as well. When he killed him, STGS estimated he had about 18" of broken tines. After I was done, I measured about 24", but no one really knows. He's a fantastic buck and it was a fun mount. 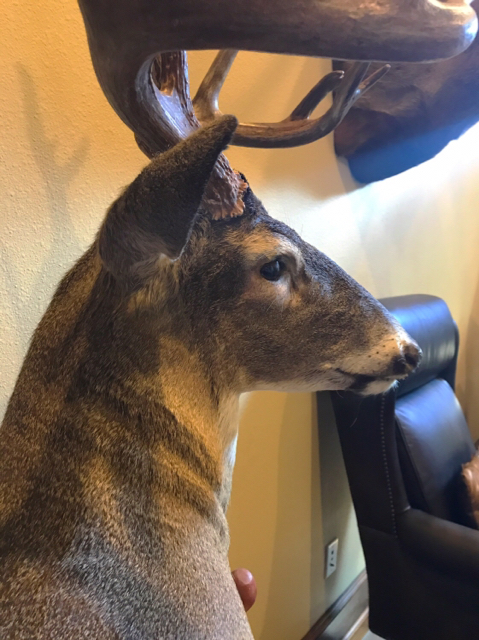 I'm looking forward to you besting him in November, Andy, and I'll be dreaming of how to get you another unique mount! Glad you are thrilled! Very cool rack on that dude. Rock base looks good! Hunt In: Lavaca, Alberta and where ever Aironeout takes me! Fella is extremely talented ! Awesome work and beautiful mounts. Congrats on your trophy’s. Man those turned out awesome! That’s awesome man, he a great buck! Congrats! Beautiful animals Andy! Top notch Kevin!! Mad skillz right there! Dang Kevin, full service work! Amazing work Kevin and congrats to the OP. Good looking mounts for sure! 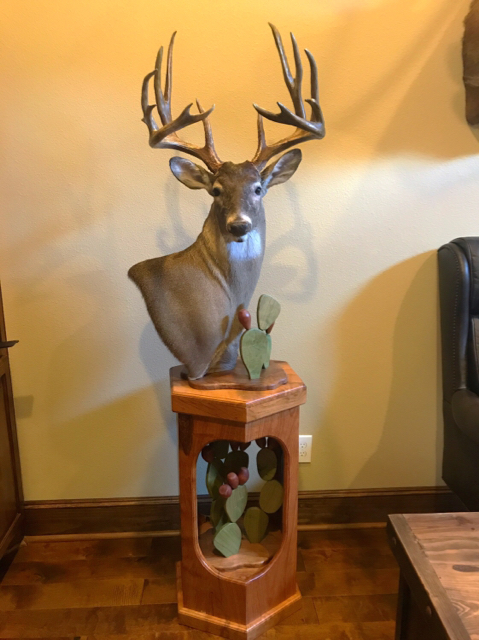 Great mounts and awesome trophies!!!! What beautiful work on 2 magnificent animals. Congrats.